Alan A. Sachs is a lawyer in St. Louis, Missouri. His practice focuses on business transactions and counseling. From 2001 to 2010, he was a partner at Haar & Woods, LLP. Prior to joining Haar & Woods, Mr. Sachs was Senior Vice President and General Counsel of Edison Brothers Stores, Inc., a nationwide retailer, and before that was General Counsel of The Trane Company, a major manufacturer of air conditioning equipment. He has over thirty years’ experience in advising on a wide range of matters, including the organization of new businesses, the purchase and sale of businesses, debt and equity financings, minority investments, shareholder and employment agreements, intellectual property licenses and commercial contracts. 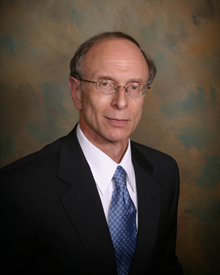 Mr. Sachs also serves as an arbitrator in complex business disputes for the American Arbitration Association and the Financial Industry Regulatory Authority and is a mediator in business cases for the local state and federal courts. Mr. Sachs was Chair of the Business Law Section of the Bar Association of Metropolitan St. Louis from 2003 to 2007 and is a past President of the St. Louis Chapter of the American Society of Corporate Secretaries. He is listed by Law and Politics as a Missouri Super Lawyer for Business/Corporate Law and Alternative Dispute Resolution. Mr. Sachs received his undergraduate degree from Columbia University and his law degree from Harvard Law School, where he was an editor of the Law Review.